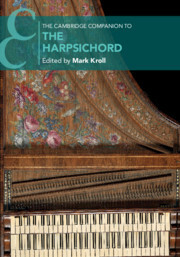 The Cambridge Companion to the Harpsichord. 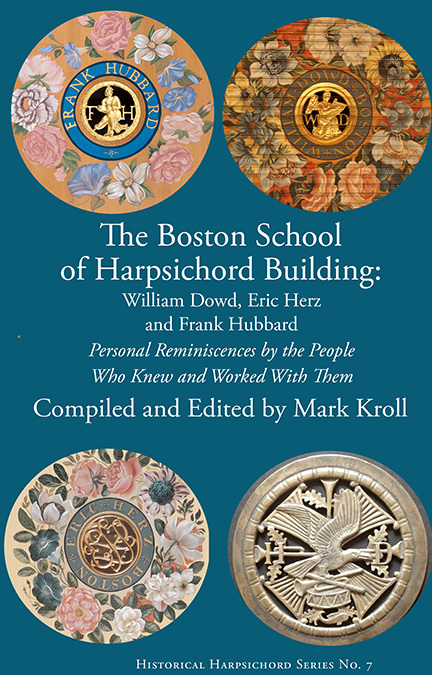 The Boston School of Harpsichord Building. Ignaz Moscheles and the Changing World of Musical Europe. Suffolk, UK: Boydell and Brewer Press, 2014. Mark Kroll’s book [is a] high-standard study by an author who once again proved his remarkable ability to highlight figures who have been unjustly pushed into the sidelines of history. Mark Kroll knows how to restore their reputation, to show their contribution to the culture within which we ourselves grew, and continue to convey it further. 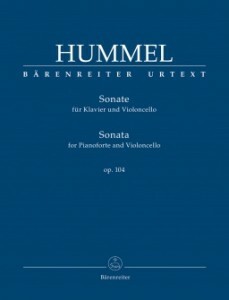 The author had already done it successfully, especially with Hummel in his five-hundred page Johann Nepomuk Hummel: A Musician’s Life and World (Lanham, MD: Scarecrow Press, 2007), and he did it again with Moscheles. There was so much expanse for deep research in archives and contemporaneous newspapers— which was meticulously done—that the result became a substantial critical revision of previously available materials. And much more. Kroll’s text is good prose, friendly, but without familiarity. It draws the reader closer to the epoch and the epoch closer to us. Reading the book, we palpate and smell the world in which that great musician lived and worked. And here comes the key word from the title that does not appear among the key words: Changing. “And the Changing World” says the title. The question whether the world of music changed by itself during Moscheles’s life, or if somebody, and there was no one more than Moscheles himself who brought so many dramatic changes into this world that perhaps it would not even be an exaggeration to re-word the title to read Moscheles Changing the World of Musical Europe. Indeed, we learn that Moscheles was mainly responsible for many crucial features of modern musical culture. The entire book, while being a marvelous biography, is extremely valuable contribution to the history of European music in general. Johann Nepomuk Hummel: A Musician’s Life and World. Lanham, Maryland: Scarecrow Press, 2007. 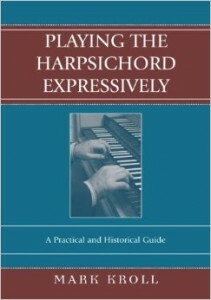 Playing the Harpsichord Expressively: A Practical and Historical Guide. Lanham, Maryland: Scarecrow Press, 2004. 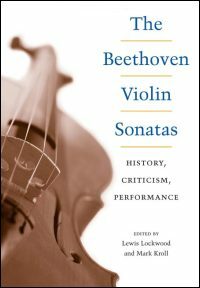 The Beethoven Violin Sonatas: History, Criticism, Performance. Co-edited with Lewis Lockwood. Champagne-Urbana, Illinois: University of Illinois Press, 2004. Francesco Geminiani: 12 Sonatas for Violin and Figured Bass, Op. 4. Brepols, 2016, Geminiani Opera Omnia Vol 4A, GCE7. in A Major, op. 104. 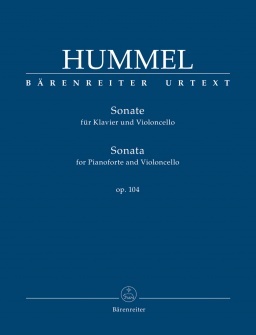 Bärenreiter, 2015. 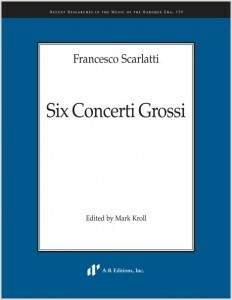 Francesco Scarlatti: Six Concerti Grossi. A-R Editions, 2010. 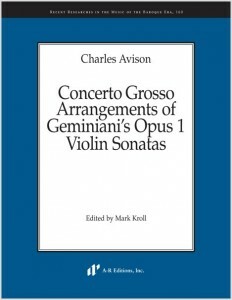 Charles Avison: Concerto Arrangements of Geminiani’s Sonatas for Violin, op. 1. A-R Editions, 2010. 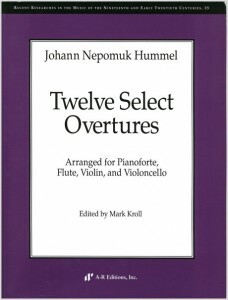 Twelve Select Overtures, arranged for Pianoforte, Flute, Violin and Violoncello by J.N.Hummel. Recent Researches in the Music of the Nineteenth and Early Twentieth Centuries, vol. 35. Middleton, Wisconsin, A-R Editions, 2003. 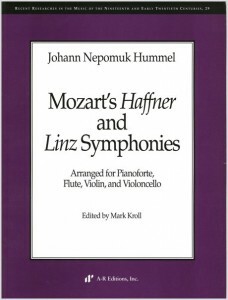 Mozart’s Haffner and Linz Symphonies, arranged for Pianoforte, Flute, Violin and Violoncello by J. N. Hummel. Recent Researches in the Music of the Nineteenth and Early Twentieth Centuries, vol. 29. Madison, Wisconsin, A-R Editions, 2000. “L’Ornament Mystérieux.” In Early Music, Volume 45, Issue 2, 31 October 2017, Pages 297–309. “A Man Outside His Dwelling, A Jew Inside? : Ignaz Moscheles and the German-Jewish Musician in Nineteenth-Century Europe.” Ad Parnassum Journal, XIV/28 (October 2016), pp. 21-36. 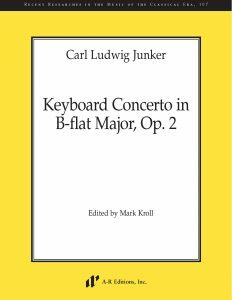 “Con Furia: Charles Avison and The Scarlatti Sect in Eighteenth-Century England.” In The Early Keyboard Sonata in Italy and Beyond (Brepols, 2016). “Johann Nepomuk Hummel.” Revised entry, New Grove Online, 2013. “‘You are my Heir:’ Geminiani’s Influence on the Life and Music of Charles Avison.” In Geminiani Studies, ed. Christopher Hogwood (Ut Orpheus Edizioni, 2012). “Johann Nepomuk Hummel: The First Touring Artist,” in Auf den Spuren von Johann Nepomuk Hummel, proceedings of the International Conference on Johann Nepomuk Hummel, Bratislava. May 30-31, 2008 (Slovakia: Divis), 2010. “Visiting the Frederick Historic Piano Collection” Early Music America 13/4 (2007). “Hummel the Romantic.” Early Music America 13/2 (2007). “The Master to Whom the World is Indebted.” Chamber Music America (2007). “Two Important New Sources for the Music of Charles Avison.” Music & Letters, vol. 86, no. 3 (2005). “Poradnik wykonawcy muzyki XVII w—Instrumenty klawiszowe.” In Improwizacja w muzyce Baroku. Warsaw: Bydgoszcz. 2004. “Old Wine in New Wineskins.” Early Music America 9/2 (2003). “The Self-Help Bookshelf for Historical Performance.” Early Music America 8/1 (2002). “Building an Early Music Library.” Early Music America 7/1 (2001). “Keyboard Instruments.” In A Performer’s Guide to Seventeenth-Century Music. Ed. Stewart Carter. New York: Schirmer, 1997. “The French Masters: French Keyboard Music.” In Eighteenth-Century Keyboard Music. Ed. Robert Marshall. New York: Schirmer, 1994, reprinted New York: Routledge Press (2003). “Darius Milhaud: The Composer from Provence.” Bostonia Magazine, Summer (1992). “Tous Les Marais du Monde.” Bostonia Magazine, Spring 1993. “The Quest for Authenticity.” Bostonia Magazine, March/April (1990). “Stravinsky’s Craft.” Bostonia Magazine, November/December (1990).